ROP is short for retinopathy of prematurity, an eye condition affecting newborns, to be more precise premature babies (hence the name). The condition develops as a consequence of abnormal development and growth of blood vessels of the retina. The risk of ROP is higher in babies born much earlier than they are supposed to (comparing to estimated delivery date). Scientists have not managed to determine what actually occurs inside the retina in premature babies. Still, they all know that the retina is a thin layer covering the back inner surface of the eye and that it is, due to light-sensitive characteristics, essential for human vision. In premature babies blood vessels of the retina are not fully developed. Because of that, after the child is born, blood vessels in the retina (particularly when the baby is in an incubator and receives high concentrations of oxygen) start to grow uncontrollably and in an abnormal way. Such growth is associated with many complications such as bleeding, scarring in the retina as well as retinal detachment. Understanding this abnormal growth of the blood vessels in the retina is essential in order to diagnose the condition as early as possible and treat patients, trying to prevent more complex complications including the most severe one - complete loss of vision. There are 5 stages of ROP. The stage 5 is actually a complete detachment of the retina from the back of the eye. It is estimated that babies with stage 1 and 2 ROP may not need any treatment and the condition improves on its own. However, stage 3 and 4 require adequate treatment because damage is in this case more severe and complex. 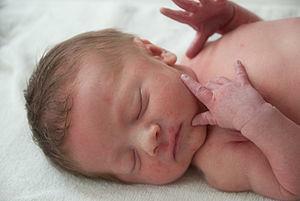 Pediatricians closely cooperate with ophthalmologists in case of premature babies. Such collaboration is essential for proper diagnosis. Ophthalmologists perform eye examination and if the condition has developed, estimate the stage of ROP and recommend treatment. The most important thing is to diagnose ROP on time. Babies with severe form of the disease undergo a laser photocoagulation treatment. This procedure stimulates regression of abnormal blood vessels inside the retina. Some patients may additionally need to undergo surgery. The most efficient way to prevent ROP is to prevent premature births. Since this is not possible in all cases, if premature birth still occurs, doctors are due to diagnose ROP on time and treat it adequately. By doing so, complications (especially complete vision loss) will be successfully prevented.